The Burton Ritual LTD snowboard boot has an Ultraweave shell that creates lasting, powerful support without any extra weight by eliminating seams and unnecessary bulk. The incredibly comfortable Imprint 3 liner is complemented by the DRYRIDE Heat Cycle lining which utilises carbon threads to reflect body heat inwards to keep your foot warmer, while at the same time wicking warmth-robbing moisture outwards. Featuring the Speed Zone lacing system, it can be laced in seconds and allows a customisable fit of the upper and lower zones. 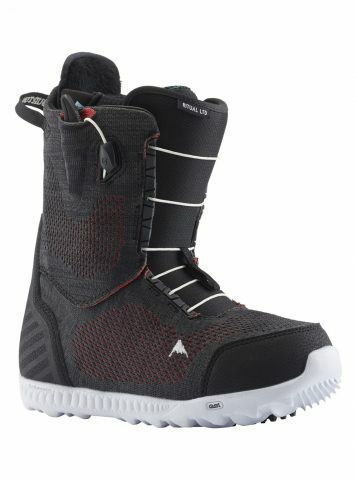 Shop the BURTON Ritual LTD Women’s Snowboard Boot 2019 here.